If you are what you eat, then you definitely are what you think! I have seen this statement proven over and over again but still we refuse to believe that our negative thoughts can have a negative impact on our bodies. Your thoughts are the first step in learning and allowing your self to heal. Living with MS is as much a part of our daily lives as breathing. Once you accept this as a matter of fact rather than fighting against an invisible enemy which you have made out to be omnipotent, you have won. If you were to wake up each day and the first thought you had was “I feel sick”, I can guarantee you, you will. I am not suggesting that all you have to do is click your heels together three times and all will be well, but simply suggesting that what if starting the day with “I feel good”, could act-as a beacon for your body to follow onto a path of wellness. The mind is a powerful thing. Your thoughts are the driver. Pay attention to what you are thinking and saying to yourself for one day and you will be amazed at how often negative thoughts can crowd your mind. I have seen this in action first hand with a friend of mine who was recently diagnosed with relapsing remitting MS. She had a great attitude, positive approach to dealing with the new challenges in her life. When her regular walks became harder and she found that some days she could not go outside, she took what she perceived to be, the first step in admitting she was sick. This was just a regular walking stick, but it had magic powers. The power to weaken her self-confidence, crush her self-esteem and plunge her into early throes of depression. Although it was so obvious to me what prompted her sudden emotional change and outlook on her prognosis, all she could see was the MS Monster hovering over her like a dark cloud. The walking stick had the power to change her mindset about who she was and her value to others and her place in society. Her physical abilities had not changed, only the story her mind was telling her. It was a shift in her mindset that had prompted her decline, not the walking aid. Our bodies are powered by our mind and our thoughts. Watch what you think and see if this first step makes a difference in how you feel, how you approach each new challenge and most importantly, how you begin to heal. Be the writer of your own destiny! 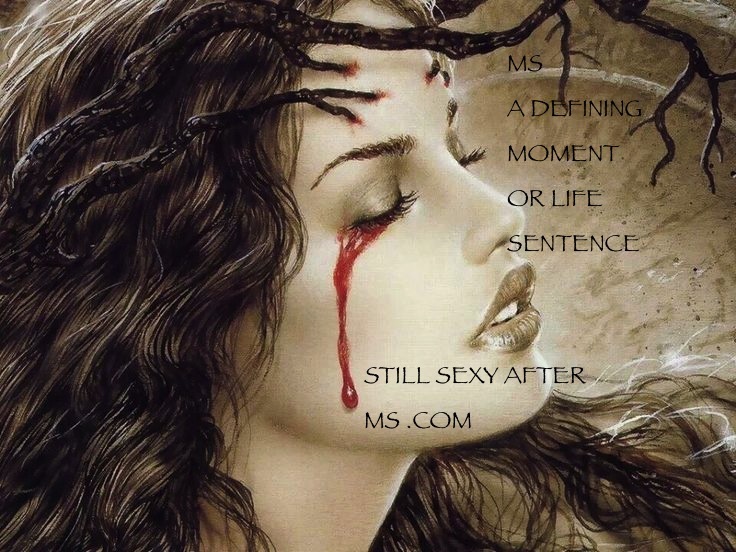 MS, A Defining Moment or Life Sentence? We can all agree that the moment you heard the diagnosis of Multiple Sclerosis escape the lips of your neurologist, your life forever changed in that split second. You might have felt like someone had punched you in the solar plexus and the pieces that had once been you, now lay in a splintered heap on the floor where you feet had once been. The person you were when you first entered that office was no longer the one that was now leaving. All the plans you had for your future in your mind were now suddenly being erased as easily as chalk on a chalkboard. I remember that rainy afternoon drive home after my diagnosis. It was almost like having an outer body experience. It was me who was driving the car but not really me at all. The diagnosis of MS although I then did not know what it was but that it was not good, soon became not just a defining moment, but a life sentence moment. I too, was a victim of this mindset. But here I sit, almost twenty years later, at 6:04 a.m. on a wintry November day, suddenly awake from my MS shroud of fear. I suddenly see clearly how I have been living each day with short term goals. Making deals with God to let me see long enough to see what my son looked like when he turned five. To be strong enough to stay healthy so my parents who were then still alive, did not have to worry about me. Why did I waste all those years limiting myself by thinking in such short term goals? Because I let fear rule my emotions and steal precious years when I could have been chasing my dreams. 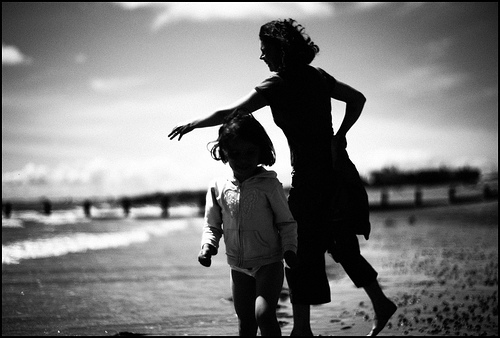 I wish I had not wasted those last years with My Mother, too wrapped up in my MS to appreciate my time with her. I wish I realized then that life was so uncertain, that I would soon cruelly lose her before I really had time to love her as the strong woman I now am. She had to leave this earth still worrying about her daughter and wondering how she could make everything okay for me. Yes, live in the moment but do not envision your future through distorted lenses of fear. 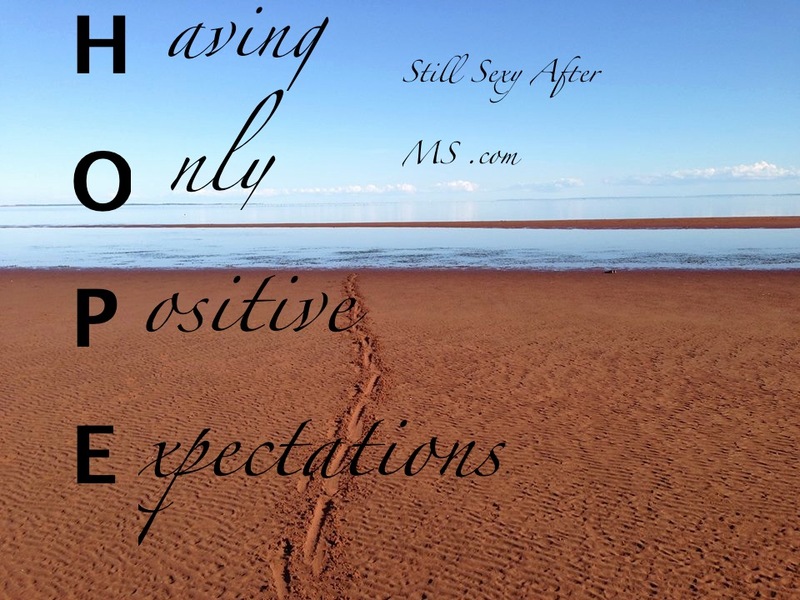 MS is a defining moment in your life along with other life altering experiences. It will change you, reshape how you see your life, strengthen you beyond your wildest imaginings. Take this newly formed being you have now become and face your future with courage, hope and wonder. You have everything to gain and nothing to lose by not limiting yourself to only short term goals and accomplishments. If you have just been newly diagnosed and are facing all these new uncertainties, my advice is to continue living your life as you had once envisioned. You might have to make alterations along the way, but don’t give in to the “what if’s”. I, for one, intend to finally, completely crawl out from beneath the MS shroud of fear and start living my life again without worrying about what tomorrow, next week or next year might bring. Think of life as a kaleidoscope. Every turn brings a new, magical image. 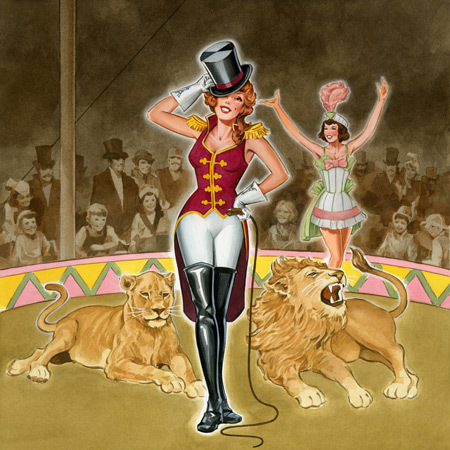 Are you the lion tamer confidently keeping control over the fierce beast that in a blink of an eye, could easily eat you alive? Or do you find yourself cowering in fear as the MS beast looms over your every thought like a dark storm cloud ready to reek havoc? I ask this question because I recently attended a webinar on a discussion of MS treatments currently on the market and their potentially crippling side effects. With every minute that passed as I listened to personal accounts, I found myself slowly moving into a negative state of mind. I am not saying there is anything wrong or not valid in sharing our experiences both good and bad so we can be better informed and emotionally supported. But ask yourself this. How much time in the day do you spend feeding the MS beast? The more negative thoughts, words, or tears you feed the “MS you”, the less energy there is for the “real you”. It is easy to get lost in the vortex of crippling symptoms, potentially debilitating mood swings and constant battle with fatigue. 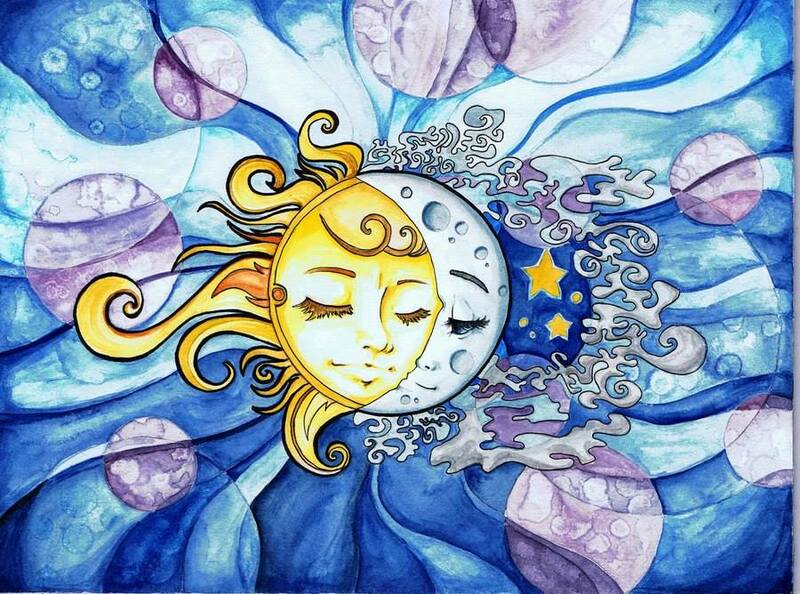 The more you can rise above these warring emotions and instead, find some joy, gratitude and peace in every moment of the day, you are once again the victor. My sister recently asked me to go on an overnight shopping trip to get out of our small town and do some Christmas shopping. My first knee jerk answer was the old fallback “no” as it seemed easier to just stay home in the security of my slow paced life. The more I thought about it, I realized I was to quick to take the easy way out. Why should I stay home and miss out on something that could be fun? Hence, on November 11th, Remembrance Day in Canada, while every Canadian is remembering our fallen soldiers, I will be on my own charge into battle. This battle is a personal one. The battle against the MS beast. The prize, the choice to live my life. By going on this what is sure to be an exhausting trip, entailing four hours of car travel on winter roads, eight hours of dodging crazy Christmas shoppers, I will be carrying my own personal war banner, the choice of “yes”. While sipping my Starbucks pumpkin spice latte, I will be inwardly celebrating my best purchase of the day. The victory of living my life! Of course, there are going to be days when you simply cannot attend an event or dance a jig, but the next time you catch yourself saying “no” to an invitation, ask yourself if you are simply choosing the easy way out. Living with MS is tough enough, we need to grab hold of the times we can laugh and have a good time. I encourage you to think about ow much unnecessary negative thoughts and words you give to the MS monster. Yes it is inevitably a part of your life. Yes you are going to have times when you feel defeated and down. But try replacing one good thought or feeling for every other bad one and you will start to see a difference. I know the MS beast is always in the corner. The trick is making sure it knows who is in charge! Just before posting this, while warming up my coffee in the kitchen, the universe affirmed my thoughts, the radio was playing “Never surrender”! Need I say more? I can hear the words that are coming out of my own mouth. I see you looking at me as if you are listening, so why are you hearing me but not understanding how I am feeling? Having an invisible chronic illness can leave you feeling adrift in a turbulent sea of confusing emotions. Anger, sadness, fear, anxiety and hopelessness can all vie for a front row seat in your daily struggle to live a happy, productive life. Are you tired of hearing such phrases as “but you don’t look sick” or “just take a nap and you will feel better”? I am left wanting to know, exactly how should I look? These words coming from the ones that are supposed to love you the most can hurt the most because you expect them, if anyone, to understand. It can be hard to find people to talk to that truly know how you are feeling and when they say “I get it” they really do. But you are not alone. There are thousands of others who are feeling, struggling, warring with all the same things you are going through. Having a chronic illness can be a difficult playing field to find yourself in. It is almost like being caught in the middle of two stages of life. Healthy and terminal. You are no longer the vibrant, energized self you might have been running miles just because you could while working a demanding full work week. You are neither facing imminent death, preparing yourself for saying goodbye to everything and everyone you love. Some days fatigue, pain, numbness, dizziness all can make plans you had been looking forward to, become impossible to fulfill. Wouldn’t it be nice in times such as this to have that special someone to hold you in their arms and not have to say anything. Their comforting presence a balm to your fraying nerves. No feelings of guilt, disappointment, or shame being thrust on you when you are giving everything you have to fight the battle that is silently waging war in your body and on your emotions. With Christmas around the corner, along with this comes a series of get togethers, parties and shopping. All of these things all can bring extra fatigue and anxiety about whether you can meet all of your commitments. Christmas shopping in a crowded mall which I had once loved has now become a outing that can cause frustration and anxiety. Walking through crowds of noisy shoppers in a fluorescent lit mall with blurred vision can be anything but enjoyable. dodging inconsiderate teens while trying to find the perfect gift leaves me wanting to get a Starbucks and return home to do my online shopping. But alas, this too has a solution. I have started shopping at off peak hours with a gift in mind to avoid aimless wandering. I take my time and instead of rushing, I stop to appreciate the fact that I am able to feel good enough to be out shopping at all. When people hear you say you are tired or in pain but do not understand how you feel, do not let it make how you are feeling any less valid. Either they are so self absorbed in their own life to truly understand or they simply just can’t, unless they are going through it themselves. What matters is that you know how you are feeling and you need to listen to what your body is telling you. Reach out to others who make you feel heard. Your symptoms are not imaginary. You are not whining. You are not weak. You are someone who is dealing with life that has given you something to test your inner strength. Slow down when you feel panicked. Feel your own heart beat. Feel your breath as if fills your lungs. That is you. 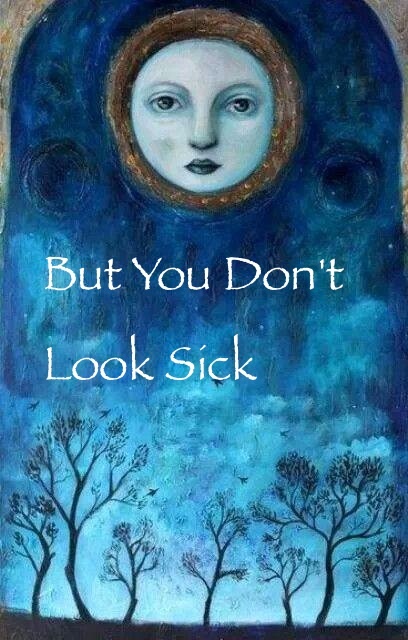 You are not your illness. Twelve years ago today, I stood outside on my front walkway talking with my mother before she left to go home to her empty house to have a simple dinner of vegetable chili. For some reason, my always vibrant mother looked suddenly vulnerable as the cool October breeze blew back her angel soft bangs. The first crisp fallen leaves danced down the driveway in a symphony of it’s own making as we said our goodbyes. I remember how she had pulled closed her taupe colored jacket, clutching herself in a make shift embrace in the effort to ward off the chill. I unexplainably had the urge to hug her and a feeling that it was my turn to be the protector. I did not know then that was to be the last time I would see her. That I had missed my last chance to tell her I loved her. That an hour later, a policeman would give me news that would forever change my life and the way I lived it. As a child, I was my mother’s shadow. I could always be found sitting on her knee or playing nearby as she did household chores. As a young married mother in my twenties, she was there to show me how to take care of my newborn son. Helping with late night feedings and diaper changes so I could get a full night of sleep. When multiple sclerosis threatened to take my eyesight, she was my anchor that kept me from drowning in a sea of fear. When life cruelly took her from me on that cool October day, I learned to stand on my own two feet. I no longer had the one thing that I could always count on in life, my mother. The loss of your parents can bring into sharp focus, how fleeting life really is. Suddenly you become next in line, the next generation to take the feared rite of passage into the unknown. For the first time, I found myself able to be mewithout the fear of judgments or expectations. I was free to make decisions solely on what I wanted to do rather than what I thought that I was expected to do. It seems that no matter how old you are, when you still have parents, you live your life always knowing that part of your decision making is always based on parental approval. Don’t get me wrong, I want nothing more than to still have my mother here. I find myself longing to simply enjoy her beautiful spirit rather than clinging on to her like a drowning man needing a life line. There is so much I find myself wanting to share with her as a happy woman now. When I was diagnosed with MS, one of the hardest things that came with it was having to watch my mother worry everyday about me. I was always trying to stay strong not only for me but for her, my husband and my kids. The burden of this at times was crushing. After the loss of my mother followed shortly by my divorce of fifteen years, I suddenly was alone. But in this aloneness, I also felt free. If I wanted to, I could curl up in bed and cry. If I wanted to sleep all day, hell I would just do that. I no longer had to put on a brave face and a forced smile as I watched the helplessness in my mother’s eyes or the stress in my husbands. In this singleness, I found the road to me. Multiple sclerosis is a daily test of your courage and faith that no matter what the day brings, you will be strong enough to face it. What I have learned is that although I no longer have my mother to tell me that everything will be okay, her love I carry with me makes me confident that I will survive the MS ride. I was trying to decide this morning on what to bring to the cemetery today to leave with my parents as a token of my love and gratitude. I suddenly realized the best thing I can bring, is myself. To show them that they do not have to worry anymore, that I am okay. “Look Mom, you don’t have to cry anymore, I am happily me”. MS, The New Scarlet Letter? MS The New Scarlet Letter? 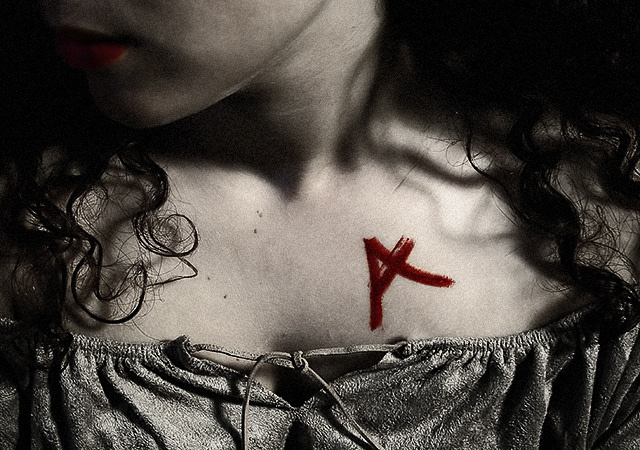 We are not Hester living in the pages of Nathaniel Hawthorne’s 1850 romantic work of fiction, forced to wear the branded blood red letter A on our bosom as a sign of our sins for all to see. In this novel, she was unjustly forced to wear this her entire lifetime as a symbol of her crime of adultery. Do you ever feel that you have not been branded with the infamous Letter A but rather an orange lettered MS? You might not feel that you wear it on your bosom but rather on your forehead where it is like a flashing beacon for all to see. This obviously feels like a branding not of adultery, but of the crime of being weak, sickly or somehow damaged. Like in nature, you feel like you are left behind by the herd as easy pray for it’s natural predators. Why does our society in it’s constant race to make an extra dollar, to achieve the next promotion, discard so easily those that need help the most. A world that is filled with greed and vanity rather than compassion and humility is one that needs to evaluate why we are all really here living this life. When I was first diagnosed with multiple sclerosis, I did indeed feel like I had been branded with a scarlet letter of my own. I had suddenly become “that girl that has MS” instead of the “Cindy” I still was and had always been. When you walk with the help of a cane, or the use of a wheelchair, do you feel you are pointed at or stared at a little too long? I can still remember how I used to hate to have to stumble past the hospital’s crowded emergency room to get my daily IV steroid treatment. I did not want to see anyone I knew and I would not meet anyone in the eye as they passed by. Life has a way of putting in your path just what you might really need to see. For years I have contemplated getting a seeing eye dog but again felt that this would somehow be marking me out as being “different.” The other day as I wheeled my shopping cart through the crowded grocery store, in my current blurry state of vision, I almost ran into a woman with a seeing eye dog. This is my second close disastrous encounter with a seeing eye dog as I can recall another incident when my shopping cart ran over the front paw of one, as I misjudged the distance of my own cart. Is life smacking me in the face and saying “Hello, this might be what you need to make your life easier”? Why does any illness, no matter what it may be, have to make you feel marked as weak, damaged or pitied. It seems to me that if our society offered compassion and support rather than judgments, we would be teaching our children how to live a life that truly has meaning. I now suddenly understand the growing number of pictures of MS tattoos that have been streaming over the internet. These people have not only cast off their Scarlet Letter A of shame but have replaced it with the proud proclamation that they are an MS Warrior. Are you living your life bearing the shame of your own scarlet letter, or have you had the courage and wisdom to realize that you have nothing to be ashamed of. You are not weak, pitiful or in any way, less worthy. Is life putting signs in your path trying to get your attention? Do not be like Hester in Hawthorne’s 17th century novel, a victim of society’s ignorance and ridicule. You are not your diagnosis. You might have MS but you are not MS. I, for one, am casting off my own scarlet letter and when someone points at me, I will hold my head up high and let them stare in the wake of my dignity. Last month, I took this picture on the shores-of Prince Edward Island Canada while walking on the sand dunes during low tide with my two sisters, who are also my two best friends. Although we are now missing our mother in this physical world, I am almost convinced that out of the corner of my eye, I catch a glimpse of my mother sitting under a beach umbrella watching over us. The last time we walked these shores together was thirty years ago when my parents took us on an adventurous holiday where we first discovered the magnificence of the ocean and strange sea creatures served up on a platter with slices of lemon. My seven year old self captured in snapshots hugging my sister while our legs were buried knee deep in the sand could not then know, the struggles that lay ahead. I could never have predicted that in my thriving twenties, while being a young mother myself, that multiple sclerosis would rear it’s ugly head and threaten to steal away my eyesight along with my very independence. I make this observation to point out as children, we do have positive expectations of what life will bring. Life has a cruel way of chipping away at this innocent belief we are born with. Where all things are possible and happily ever after awaits us as it does in the fairy tales we were read as children. We cannot foresee the future, nor do I think we would want to. I think one of the biggest obstacles that come with a diagnosis of multiple sclerosis is learning how to stop worrying about what might happen. Surrender, believe that all will be okay no matter what. Worrying definitely won’t help one bit and will only keep your body and mind in a constant state of stress and agitation. This will not give your body a calm environment in which it can try to heal. I know it is not easy to do this, especially during an MS flare up which can leave you feeling out of control and helpless. Try to think back to a time when you did only have positive expectations. Remember how it felt to be free of worries and filled with excitement of what was to come. My place I go to is back to those shores of Prince Edward Island where my sisters and I once ran along the sea shores holding hands, stopping to collect sea shells while the ocean breeze blew our blond hair into make shift wings. Last month while standing again in these sand dunes with my two sisters I was filled with gratitude. Although I have suffered the tragic sudden loss of my parents wile multiple sclerosis was giving me a fight for my life, I have become stronger and more confident in who I am. This time, I did not bring back a suitcase filled with assorted seashells but something even more cherished. While strolling the harbor front shops on a beautiful sunny day, I found the perfect memento. I purchased a necklace with a beautiful heart pendant made out of sea shells. I wore it while swimming in the ocean on my last day of my vacation, so I could always carry this memory close to my heart as a reminder to always be grateful. After all, all any of us is guaranteed is today. Are you going to wast it worrying about tomorrow?